Ongoing case management and advocacy is provided by a dedicated team of social workers, who are committed to each individual’s well-being. We encourage personal freedom and decision making in everyday life. Services include advanced directive planning, discharge planning and community agency referral, individual counseling, family support group facilitation, coordination of educational forums, distribution of informational materials and other resources, as well as integration of appropriate psychological and psychiatric support services. A positive and uplifting atmosphere largely determines one’s quality of life. We strive to create social programs and individualized activities to match the capabilities, needs, and desires of each individual. This also has a powerful impact in the healing process of those individuals involved in recovery. We welcome and encourage friends and families to visit and attend our special events. 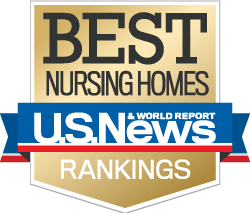 We continually strive to maintain a less-restrictive, comfortable, secure, home-like environment that affords peace of mind to individuals, their families and friends. Our respect for the dignity and individuality of each person is the driving force for our efforts to provide the most remarkable care. 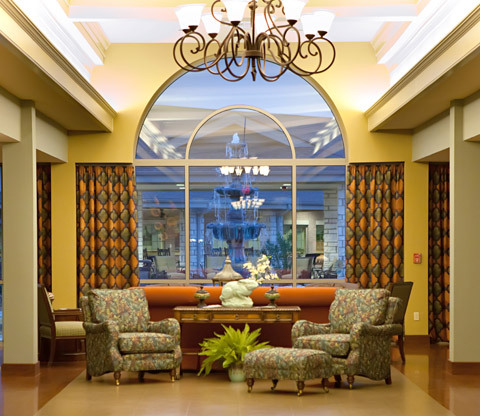 Whether our neighbors are staying for a short time in Remarkable Recovery or for an extended period in Kinser Care, they enjoy resort style living. Each room features state of the art electric beds with hotel quality sateen sheets and 2 large pillows. Every resident has a flat screen TV mounted in their room. Each of our 4 spas is stocked with oversized, plush heated towels as well as heated robes. Our other amenities include a putting green, in-house theater with surround sound speaker system, coffee house and daily social hour. Our Remarkable Recovery program boasts services to help individuals return home to the community. Our programs are designed to help neighbors recover quickly from surgery, injury or serious illness and speed up the recovery process. We accomplish this goal through team-coordinated treatment plans. Services are tailored to each individual with the goal of facilitating increased strength and mobility while minimizing pain and impairment. Functional recovery from a clinical, nursing, and social aspect is our top priority. 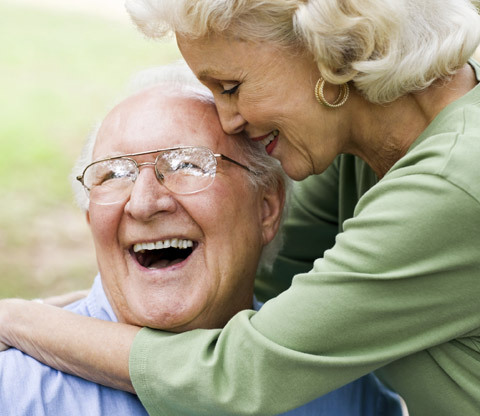 By creating a positive and uplifting atmosphere, we offer a high quality of life for our long term neighbors. 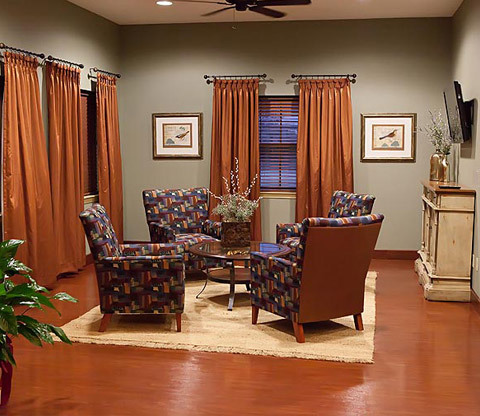 We continually strive to maintain a less-restrictive, comfortable, secure, home-like environment that affords peace of mind to individuals, their families and friends. Our respect for the dignity and individuality of each person is the driving force for our efforts to provide the most remarkable care. Our programs are designed to meet each individual’s needs, goals, and interests. After a person graduates from the Remarkable Recovery program, they are able to continue their therapy through our rehabilitative day program. 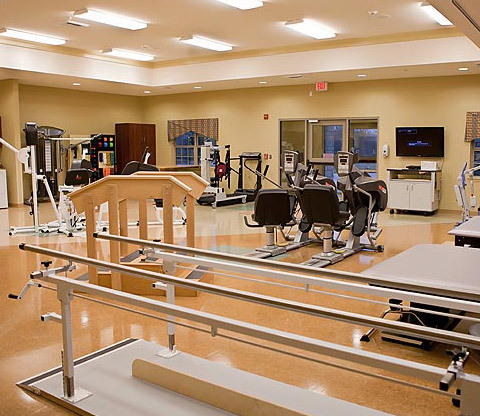 We offer physical therapy, occupational therapy, and speech therapy for our transitioning neighbors. 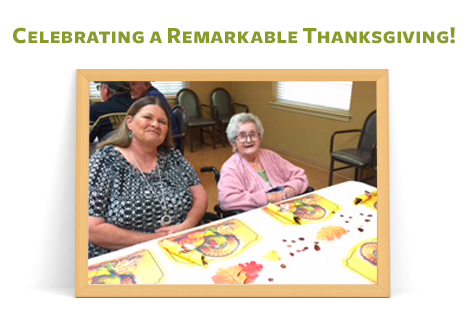 Our program includes transportation in a 15-mile radius, meal service, and access to our recreation therapy programs. Our Restorative Spa Program provides our neighbors an alternative to pharmaceutical pain management. Our highly trained Restorative Aides offer a variety of services to assist in the recovery process. Our services include aroma therapy, touch therapy, hot towel massage, guided relaxation and heated robe service. 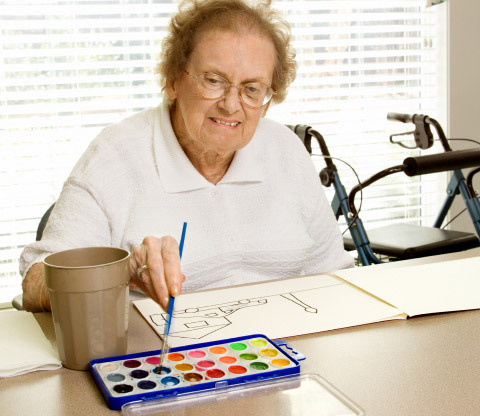 The Therapeutic Activities program is a systematic process that utilizes recreation and other activity-based interventions to improve or maintain physical, cognitive, social, emotional and spiritual functioning in order to facilitate full participation in life for persons with illnesses or disabling conditions. Remarkable Healthcare Activities Directors are certified by the State of Texas and collectively have over 35+ years of experience leading successful Therapeutic Activity programs. 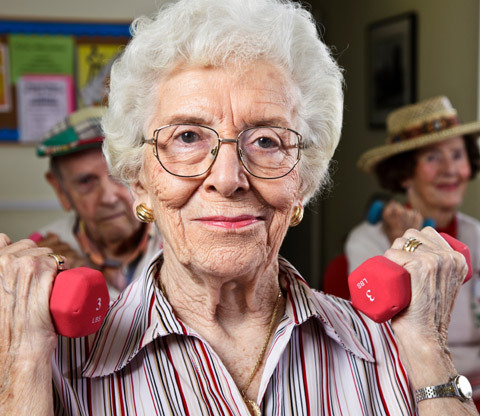 Our state of the art Therapy Gym provides neighbors with the most effective treatments as they work with our in house therapy staff. Neighbors have access to Physical Therapists, Occupational Therapists, and Speech Language Pathologists. 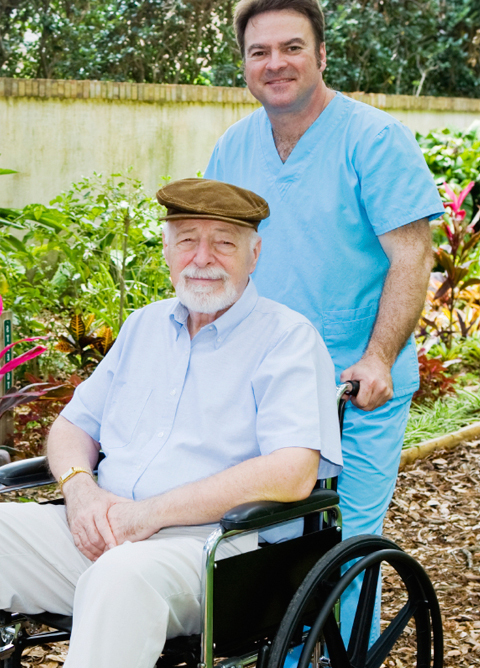 Our intense therapy programs aid neighbors in a quick and safe recovery. 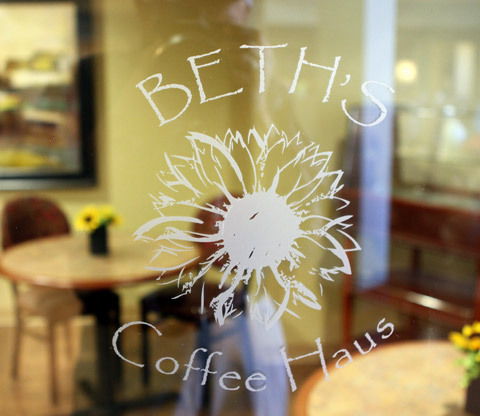 A love of coffee and good conversation was the inspiration behind Beth’s Coffee Haus. The sweet aroma and warm ambience invites neighbors to savor a hot cup of coffee and decadent treat. A gathering spot for reminiscing, a game of dominoes or a break from the daily grind, Beth’s Coffee Haus has something for everyone. The heart of our community, Daddy Mac's Den is a place to gather, connect and relax. The blazing fireplace and big screen TV create a cozy atmosphere which replicates the warmth and comfort one can find in their own home. 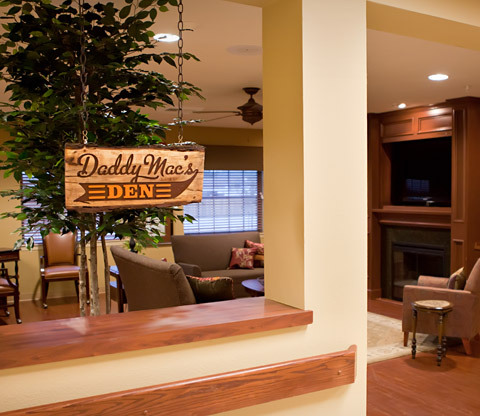 Whether it's to watch a game, chat with friends or curl up with a book, Daddy Mac's Den is always open. Our neighbors are pampered at our in-house salon by licensed cosmetologists. 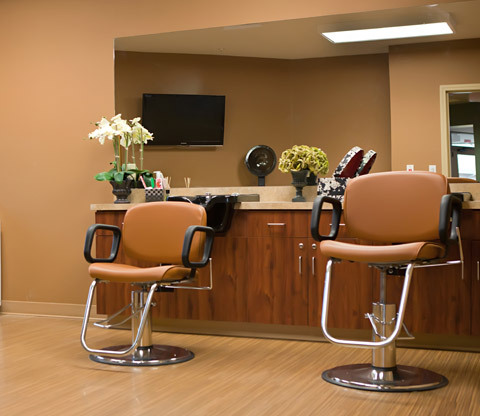 We offer hair styling services, manicures, and pedicures at minimal cost. The old Hollywood theme allows neighbors to relish the glamour of days past. Our flat screen TV plays old movies to entertain neighbors while they receive salon services. Neighbors set appointments through the receptionist. 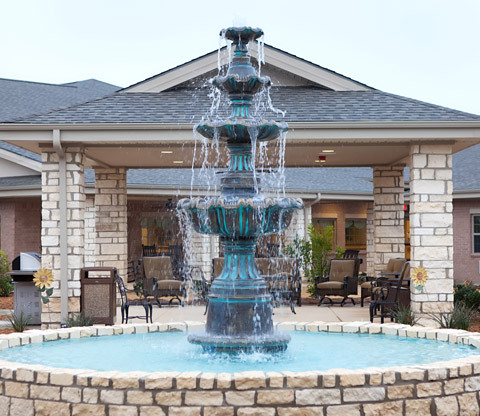 In Kyler’s Courtyard, you’ll find serenity and leisurely comfort amongst the flowing fountain, gentle landscaping and plentiful seating. Our fully enclosed outdoor area is perfect for quiet reflection or reconnecting with loved ones. Our courtyard is named after Kyler Paul, our precious baby whose life was too short. Although brief, his tiny touch significantly changed our lives forever and his soul continues to embrace us all. 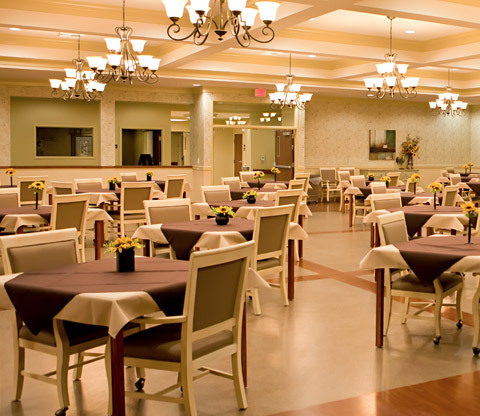 The Sunflower Café provides upscale dining for neighbors in both Kinser Care and Remarkable Recovery. Neighbors enjoy restaurant style dining at all meals and have access to a select menu between dining times. The Sunflower Cafe also offers private dining for special occasions and family events. Room service is available for neighbors who wish to eat in their rooms.